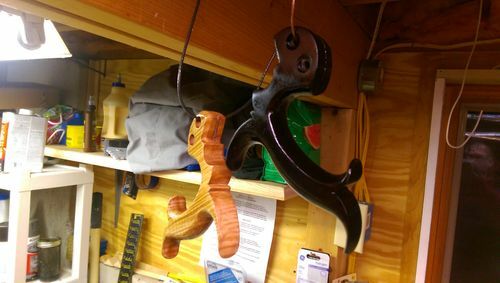 After seeing some amazing transformations of inexpensive gents saws to high quality western dovetail saws here on lumberjocks, I decided to give it a try. After settling on the Gramercy dovetail saw design, I bought an inexpensive Crown 10” Gents saw with 16 PPI and a steel back, two brass 7/16” saw nuts and some Blue Magic metal polish for the saw spine and plate. I removed the old handle (saving it for a file holder) and used acetone to clean off the lacquer. Sanded with 220, 320 and then scotch bright before applying metal polish. It is like a mirror in person. I also cut the saw plate down so it was tapered about 3/8” from toe to heel. 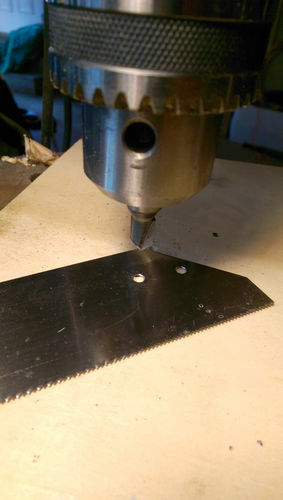 I used an inexpensive carbide tipped “V” router bit at the drill press to easily bore precise holes into the saw plate. Way easier and faster than punching a hole or using HSS/TiN/Cobalt bits in my experience. The shaping was done with a round over bit and rasps. If you want to make a saw, but dont want to do it entirely from scratch or buy an expensive kit, this is a great way to get started. 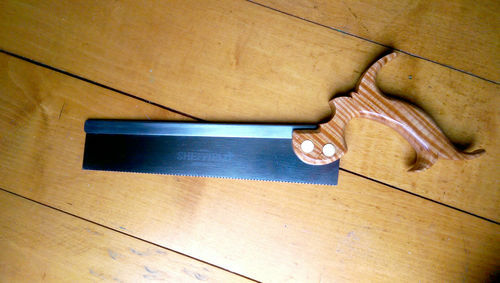 The saw is light weight, and the teeth on the saw plate are already set and sharp (though you may want to sharpen it before use anyway). I would have thought this was any number of the super expensive brand saws. Great job! Well done, Norm. Love the grain in that handle. Thanks for the kind words. JayT, your re-handle saw project made me want to give this a try. Thanks for the inspiration! This is fantastic, thanks for sharing Norm! Good tip on using a router bit to make the screw holes. I need to do this one day. Anyway, really nice piece of work! I was wondering where do you buy your slitting saws at? Jim, I think I got the slitting saw and 1/2” arbor from MSC Direct. I like that I can use it in my drill press and lathe. 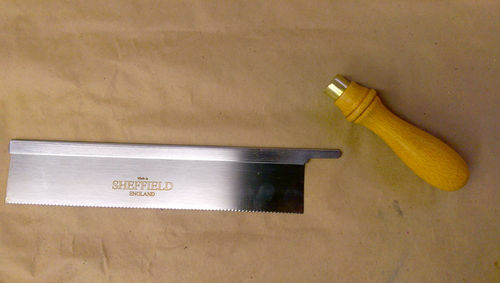 I have a .032 slitting saw as well for some other saw projects in the future. Thanks Norm ,slitting saws are tools I don’t have any experience with,I’m a bit surprised they can be used in a router table. Fantastic job Norm. It looks great! You’re welcome, I think. You sure took the concept (that I “stole” from Airframer, anyways) to a much higher level. 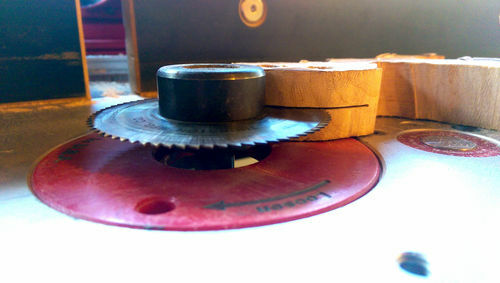 A great pictorial on making a fine saw great work Norm, thanks for sharing. Thanks, everyone. It means a lot to have so many talented craftsmen commenting.